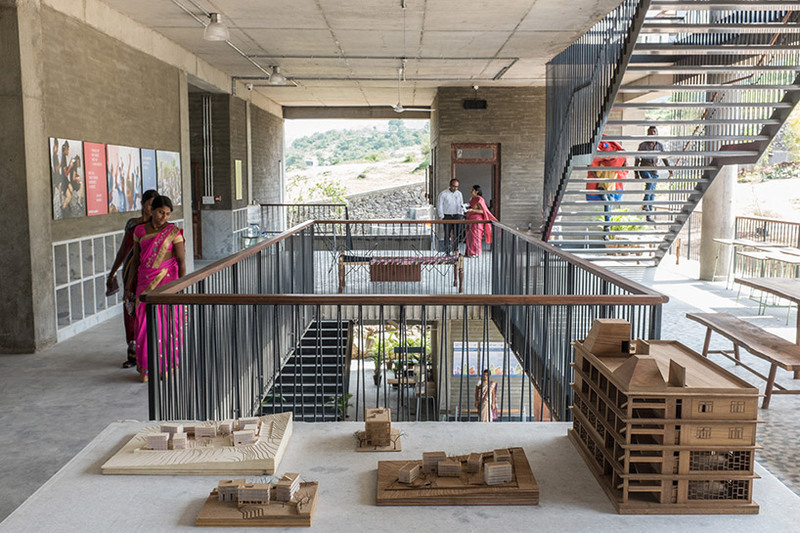 located in the rural village of lavale in india, the new avasara academy school building has been realized as part of the growing township of knowledge city. 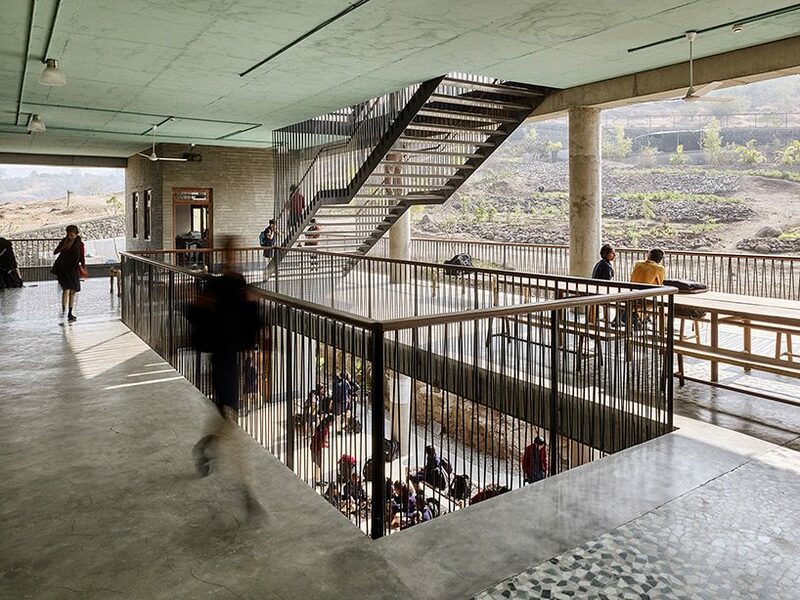 its unique positioning takes advantage of locally-available resources, and despite being distinctive in comparison to any other buildings in the area, the architecture is respectful to its rural surroundings, environmentally friendly and supports the development of spearheading education for young women in india. 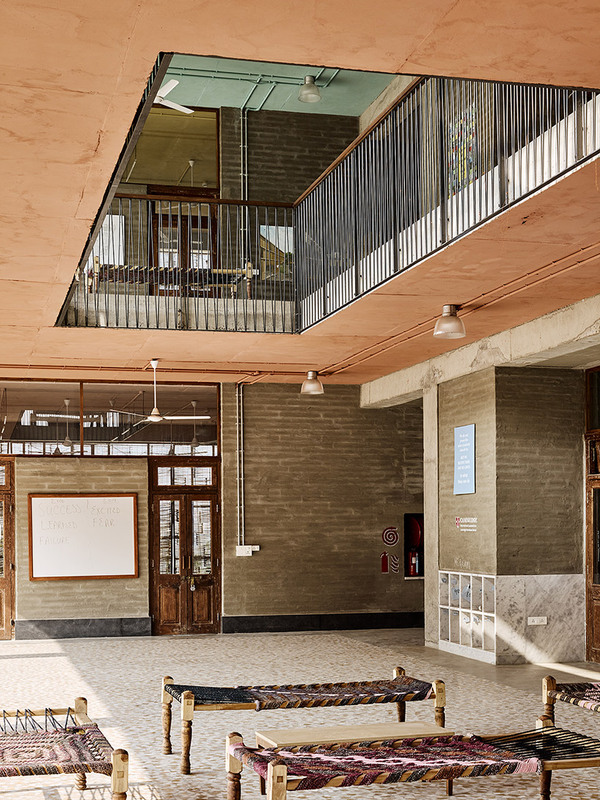 the architectural design was conceived by mumbai-based firm case design, meanwhile transsolar klimaengineering calculated the solutions to allow the building to achieve its net-zero energy status. 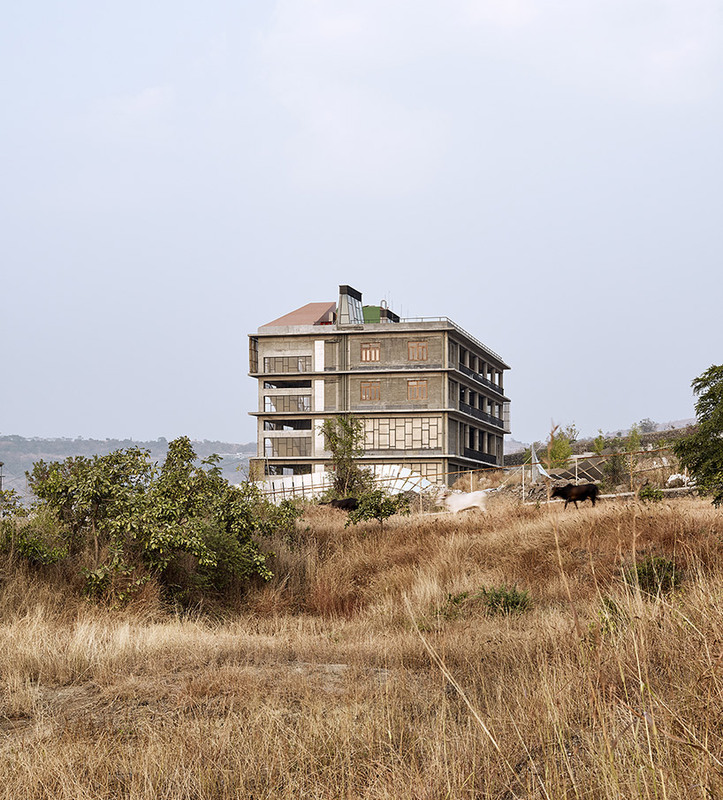 together, both teams developed a response for the 4.3 acre campus which grows out from the hillside. a collection of simple structures arranged around an informal series of walkways, courtyards, gardens and terraces. the largest building hosts the classrooms and facilities that drive the learning experience for the students. the rooms have been based around the perimeter of the building, allowing the central core to be completely open and serve solely for circulation purposes. 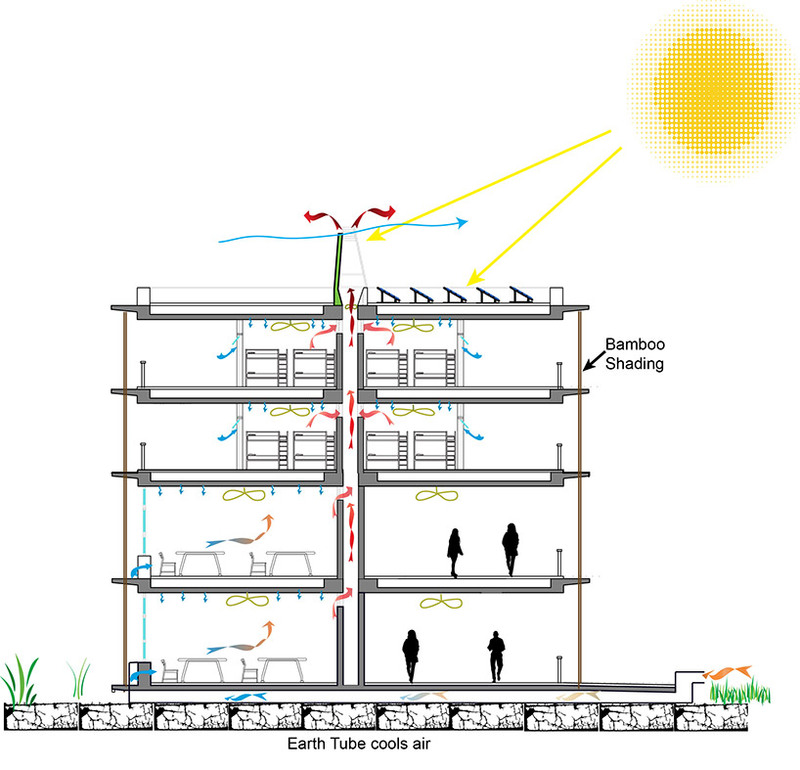 in turn, these centrally located ‘exhaust cavities’ are integrated in the structural core of the building and eventually extends out as solar chimneys above roof level to passively drive air flow, and provide cooling, throughout. 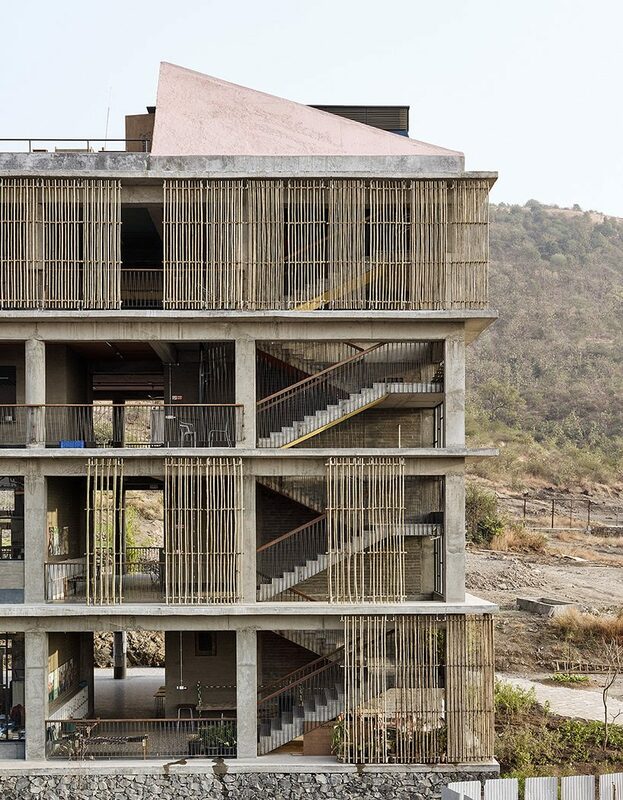 pastel colors painted on the ceilings of each floor give the detailed concrete construction and stone building vibrancy, while the mostly open-façade is covered in panels of bamboo shading. 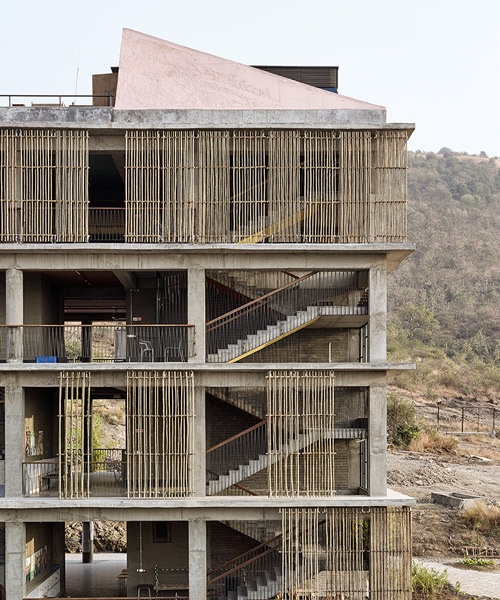 with a high ambition and a modest budget, the building achieves a comfortable internal condition without the use of any mechanical system despite the warm and humid western climate of india. 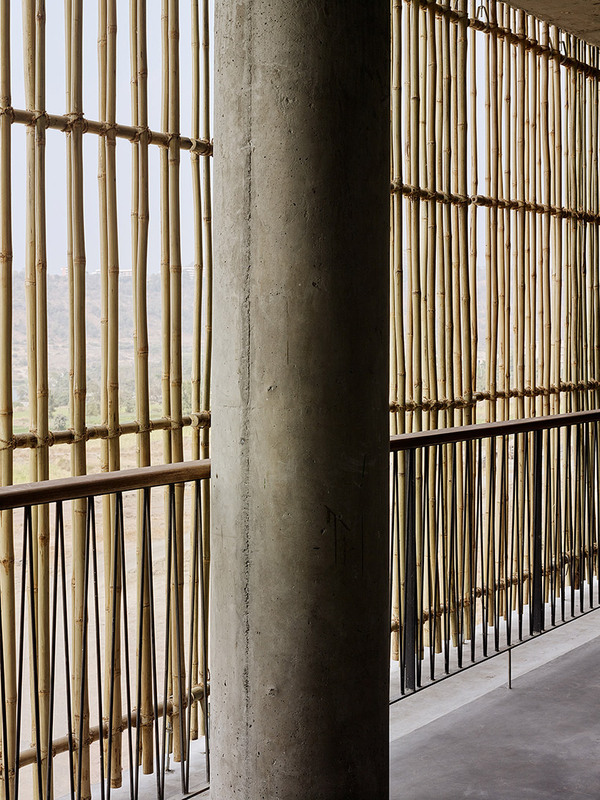 along with the climatic responsive massing, strategic program placement, the study of air flow and the use of locally sourced bamboo shades; these were all components that allowed the building to use architectural and structural infrastructure for a year-round comfortable learning and living environment. 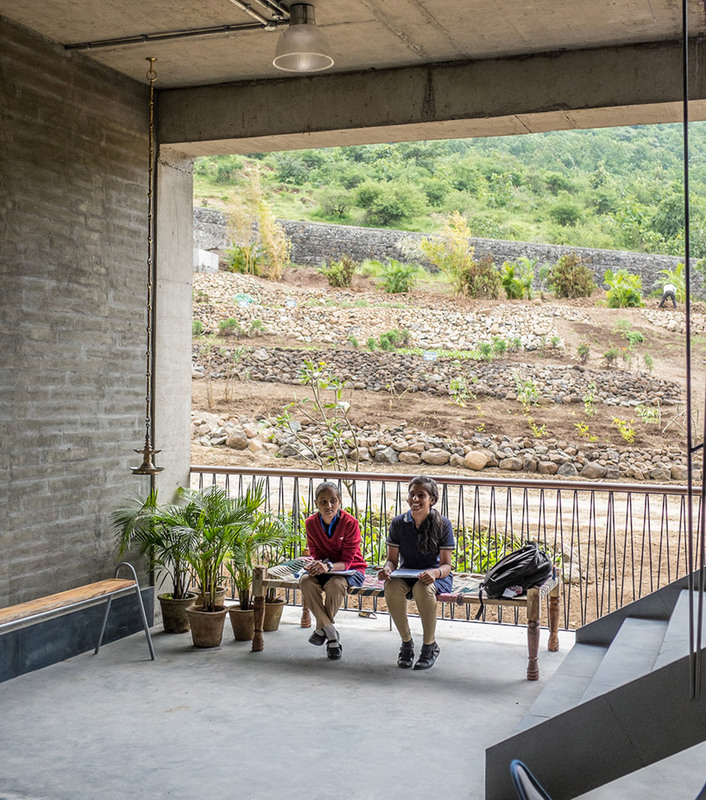 taking cues from local and other examples of academic, domestic, public and sacred spaces, the architecture of avasara academy responds to site, program and climate, addressing the needs of the community to provide a sanctuary for learning. 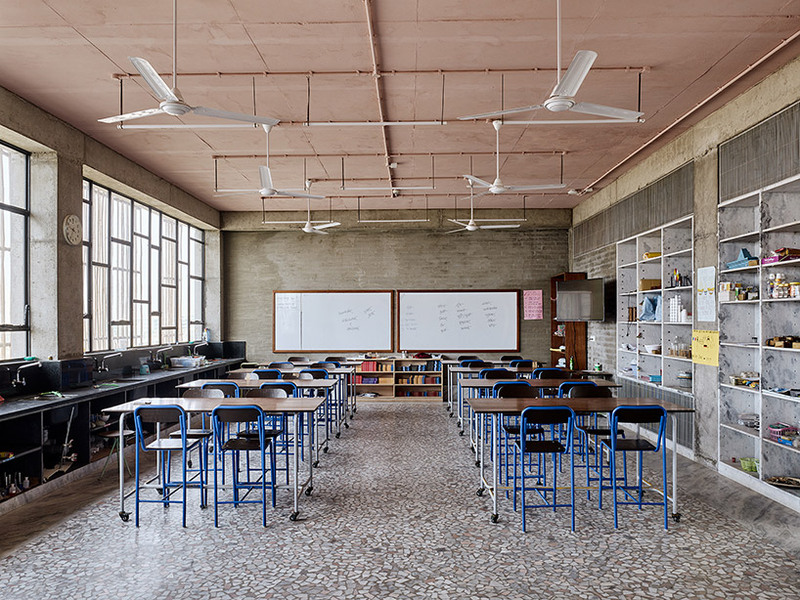 I have visited the school and really found the architecture very interesting, unique and environment friendly. Kudos to the teams who imagined and executed this.